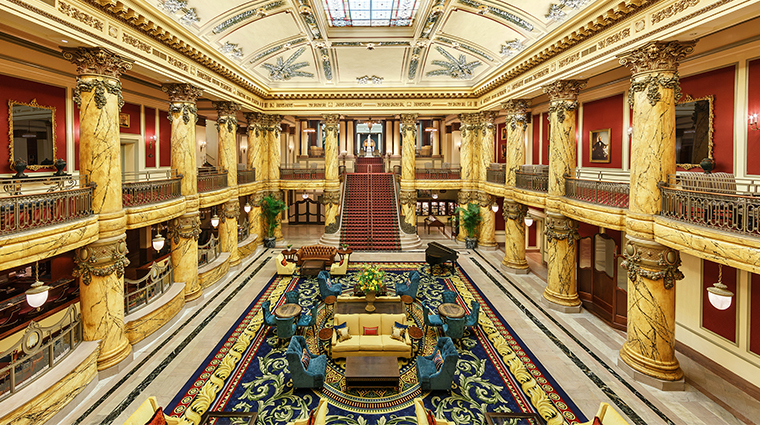 The Jefferson Hotel welcomed its first guest in 1895 as the Beaux Arts style became popular in the United States. This architecturally magnificent hotel was the dream project of New York-born Lewis Ginter, who made a fortune in his adopted hometown and decided to leave Richmond with a lasting legacy. The grand dame is located just steps from Virginia’s state capitol and Richmond’s burgeoning arts district. In celebration of the capital city’s renaissance, The Jefferson’s 2017 refresh extends from its opulent Palm Court to its elegant accommodations. The Rotunda takes your breath away with its authentic Tiffany glass and soaring ceilings. 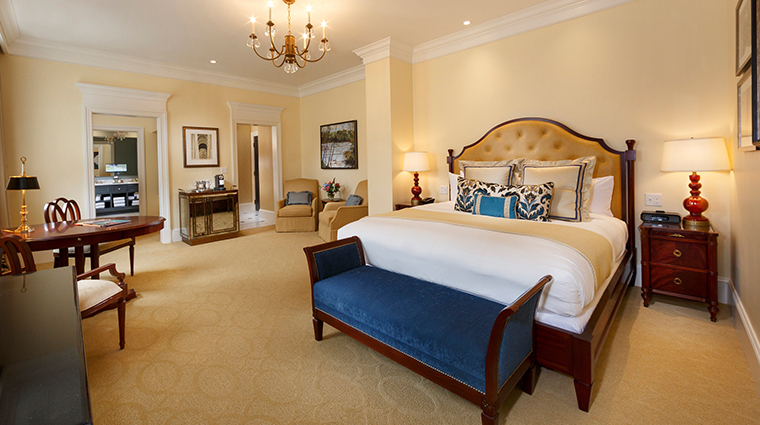 New and larger luxurious guest rooms provide a residential experience — once settled into posh comfort, it’s hard to leave. The Jefferson’s quirky history of alligators living in its marble pools inspired Kent Interior Design to position the mascot in surprising places, so keep an eye out for them. The hotel’s namesake, a marble Thomas Jefferson, looks rather proud as he oversees the gatherings in this majestic Forbes Travel Guide Five-Star hotel. 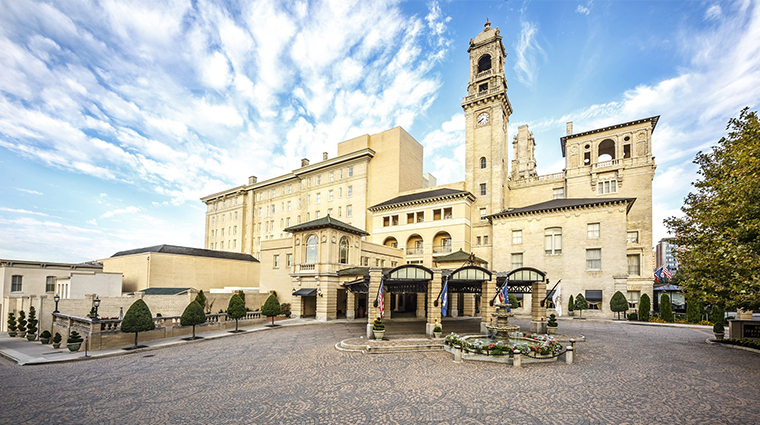 Thirteen U.S. presidents — Harrison, McKinley, Taft, Wilson, Coolidge, Truman, both Roosevelts, Reagan, both Bushes, Clinton and Obama — have stayed at The Jefferson. Other illustrious guests include Scott and Zelda Fitzgerald, the Vanderbilts, the Whitneys, Charlie Chaplin, Ray Charles and the most memorable, Elvis Presley. Check out the museum in the Rotunda for photos. The Jefferson’s white marble 36-step staircase is said to be the model for the iconic grand staircase in the classic movie Gone with the Wind. 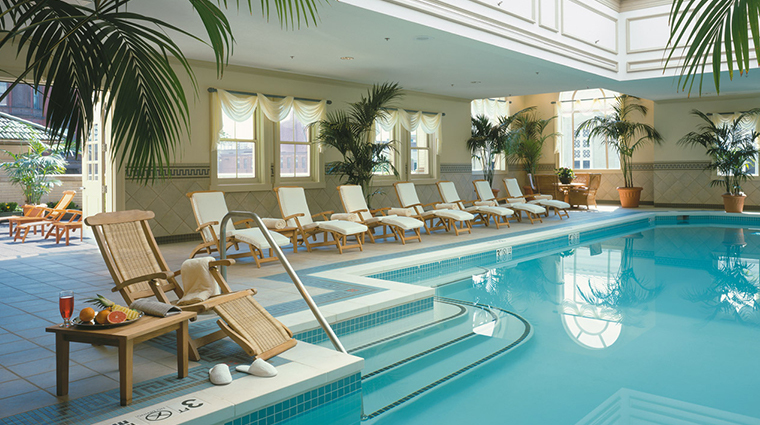 The hotel offers an array of amenities, including a beauty salon, a florist, a coffee shop, spa treatments, an indoor pool with a sun patio and a well-equipped fitness room. But don’t miss a meal at Lemaire. All the Tiffany stained-glass windows were taken out during World War II to conform to blackout rules, but artisans restored and replaced them in 1983. They continue to dazzle today. The alligators living at The Jefferson predate World War II. Richmond residents and hotel guests gifted the reptiles to the property, where they came to live in its marble pools. There are no tales of attacks from the well-fed alligators, just funny stories about mistaking them for a footstool. The luxury hotel offers a popular high tea on the weekends. You will see elegant ladies, many in red hats, taking their biscuits and Earl Grey at the foot of the Jefferson statue in Palm Court. From The Jefferson, walk south to Richmond’s riverfront activities, including The American Civil War Museum at Historic Tredegar and Richmond Battlefield Park. The Richmond Arts District is just another two blocks north, offering an assortment of eclectic shops, galleries and restaurants. The Jefferson has an above-ground lot with daily parking adjacent to the property. There’s also valet parking, complimentary downtown transportation provided by the hotel, and free transportation to and from the Amtrak Main Street Station, although you need advance reservations for this service. Ask to reserve one of the hotel’s classic Dutch bikes and safety gear to peddle down Richmond’s nearby Capital Trail. 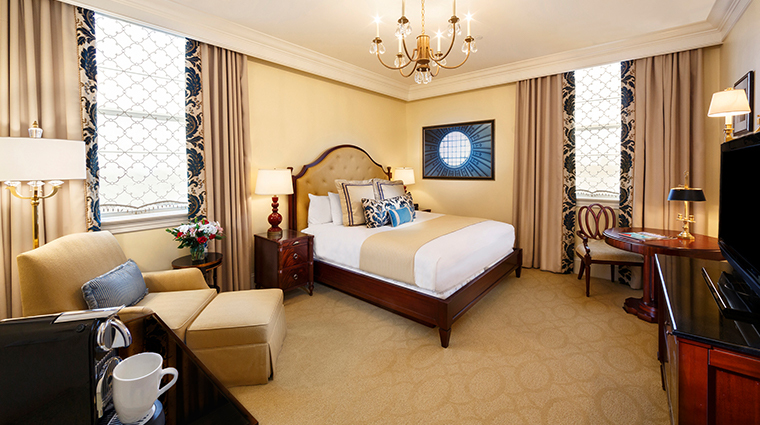 The guest rooms are spacious and extraordinary. Designed to be reminiscent of upscale apartment living, they feature homey touches like a foyer, dressing room and a sit-down vanity, along with spa-style bathrooms. All rooms have a Nespresso machine that makes your morning cappuccino a breeze to enjoy in your soaking tub while watching television in your bathroom mirror. Turndown services include plush bathrobes, soft slippers, soothing lighting and a Richmond-based confectioner’s dark chocolate treat. 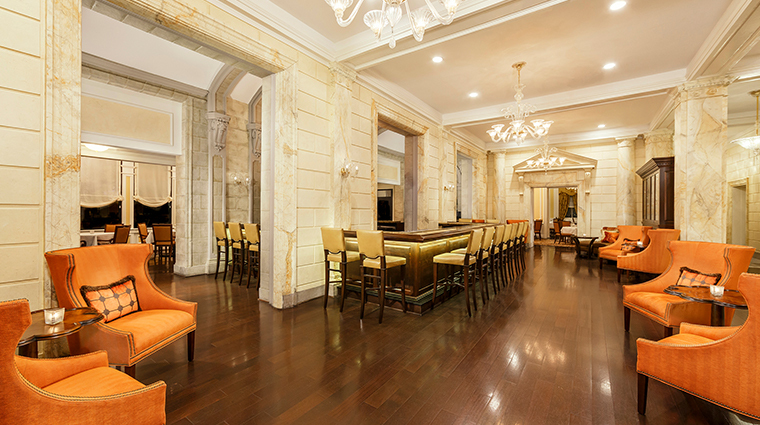 Suites offer more than 1,000 square feet of living space, including a sitting room, dining room, powder room and kitchenette, along with the other perks that are standard at the Richmond hotel. The Jefferson was doing farm-to-table before it was popular. The bountiful farmland, rivers and ranches that surround Richmond supply the hotel with wide array of locally sourced ingredients for its multiple dining venues. The hotel’s signature restaurant, Lemaire, is a cocktail bar and fine-dining restaurant as well as a hangout for Richmond’s political players and business leaders. To catch some local gossip, try olives with pimento cheese, and enjoy Southern hospitality, this is the place to go in the evenings. The beloved Sunday champagne brunch is a showcase for modern Southern cuisine, including decadent three cheese grits, fresh Rappahannock oysters and The Jefferson’s signature spoonbread. At Lemaire, executive chef Patrick Willis, a Richmond-area native, turns out New Southern cuisine with Virginia ingredients. Southern bistro TJ's goes more casual, serving breakfast and lunch.